Stem Cell Therapy: A Scam in the Philippines? Please don’t ask me where you can avail of the latest black sheep stem cell therapy to give you a new lease in life. I’m not the kind of doctor peddling experimental treatments to gullible patients just so I can buy a townhouse. Oh, Juan and Maria. Did you fall prey to a fake miracle cure? Did you believe the fairy tale ending that they promised you? Did you not see the red flags? Wake up and smell the scam before you sell your carabaos. Stem Cell Therapy: Have You Been Scammed Yet? It may sound a bit harsh, I know. After all, there are stem cell treatments that work, such as the one we’ve been using for years now to help treat leukemia and lymphoma – you probably know it better as the bone marrow transplant. But many other stem cell therapies are still experimental. Even the International Society for Stem Cell Research tells us that stem cell scams abound. Yet here we are, celebrating stem cell therapy like it’s some sort of cure-all. We’re lapping it all up, aren’t we? The potential of stem cell treatment to become one of the most organized scams in Philippine medical history is one of my favorite topics because it touches on something close to my heart: patient safety. Patients trust doctors implicitly and it angers me when doctors find a way to fool patients into paying up for a treatment that even legit stem cell researchers warn against. Oh, and before you say, “But there’s a Philippine society for stem cell therapy,” hear me out: This is not a medical society given a stamp of approval by the Philippine Medical Association. In fact, it has recently been found out that this society has falsified some of its documents. As a doctor and an advocate of patient safety, I balk at the promises stem cell therapists give their unfortunate victims. Before you sell your carabaos to pay for stem cell therapy which you are led to believe is the miracle cure you’ve been praying for, I hope you heed a prayer of my own. I pray that this article of mine finds you before it’s too late – and I pray that it helps open your eyes to a few facts that might shed light on a bigger truth. Feel free to read the position statement on stem cell therapy by the Philippine College of Physicians, Philippine Heart Association, and other medical societies – so far totaling 20 and counting. This statement has something to tell you. Listen to the many doctors who do not want to make a profit from your stem cells. Remember: If something sounds too good to be true, it probably is. When it comes to life-threatening illnesses and stem cell therapy, heed the warning of doctors who have nothing to gain. Don’t ignore the red flags. Don’t be duped. You are smarter than that, Juan and Maria. IF SOMEONE WILL BENEFIT, SHARE IT! Stef dela Cruz is a vegan doctor and writer. 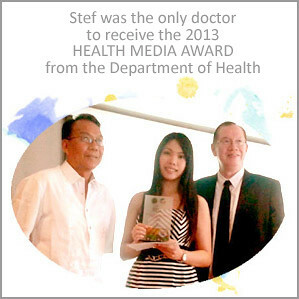 She received the 2013 Award for Health Media from the Department of Health. 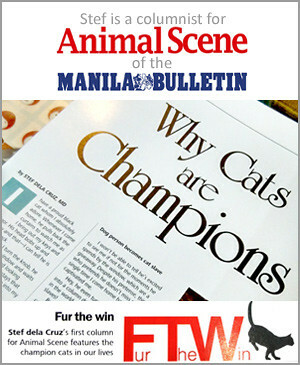 She is the editor of The Manila Bulletin's Animal Scene. Add her Google profile to your circles. My sister's son has cerebral palsy. Her family lives in the US. They have spent thousands of dollars, most probably even over $100,000 over several stem cell treatments for her son in the hopes that he would be able to walk and regain normal motor function. Some of the treatments were done outside the US. We all would like to believe that the treatments had some positive effect, but the reality is, if there was any improvement on my nephew's condition, it was from therapy (which unfortunately was not given as much importance as hopes that the stem cell treatments would make my sister's son walk.) My sister is now neck deep in debt. And still she believes that further stem cell treatments would do the trick. We all know she's been scammed. But she's in denial. It's like she had been hypnotized. I don't want to be judgmental because I don't have a child who has the same disability. I don't know what I would have done if I were in her shoes. But still, this obsession has gone too far. I feel so sorry for her. Ebert and Lisa, I'm so sad to hear your stories. I know it's not much, but at least the Philippines has finally banned stem cell therapy with unproven benefits. Yes, it's easy to get scammed. Sadly, scammers feed on desperation. Dr. Stef dela Cruz here! Wondering why I've swapped my stethoscope for a virtual pen? Doctors don't just wear white coats - they also wear many hats! I now don the hat of a humble writer. I hope that by sharing anecdotes about doctors and stories about wellness, I can give you a peek behind the curtain and work with you to keep every Juan and Maria healthy. one article at a time! 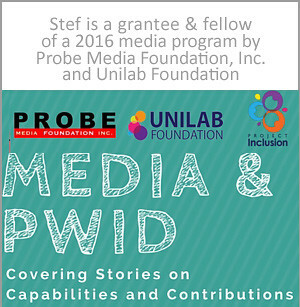 Drop me a note: contact@stefdelacruz.com. Add my Google profile to your circles and connect with me on Facebook and Twitter! 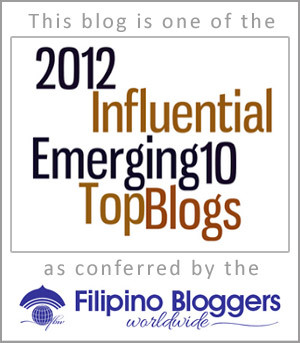 When this blog reached its second month, it became a PageRank 2 website! Thanks to all of you who continue to read, like, and share these articles - you are keeping others healthy and, ultimately, saving lives. That’s what people say when they find out that Stef dela Cruz is a doctor who traded her stethoscope for the humble pen. Her answer to them is this blog, as it is both a means and an end: It explains her decision to swap professions while it is also the very product of her calling to write. A nurse and doctor who graduated with Latin honors in both degrees at the University of Santo Tomas, she is now a columnist for two print magazines and a website. She also contributes to a national newspaper. Through her blog, she dreams of healing and saving lives, one article at a time. Join her in her mission – all you have to do is read and share.